Plumbing Houston Mr. Fix it Plumbing Houston are professional licensed and bonded plumbers in Houston TX. Our plumbing technicians are on call 24 hours a day for any of your plumbing needs. 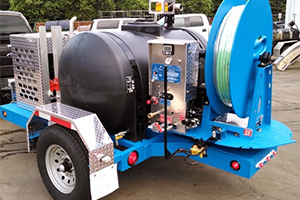 When you need drain cleaning, sewer repair, hydro jetting service or even problems with your garbage disposal, Mr. Fix It Plumbing Houston is here to help! Mr. 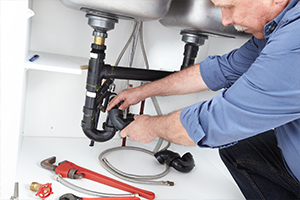 Fix It Plumbing has offered plumbing services in Houston for over 35 years. Our master plumbers are experienced, reliable, and put customer satisfaction as our number 1 priority. Cold water when you want hot water! If you have any of these plumbing problems in your home or business, Mr. Fix It Plumbing Houston can help. Call (281) 616-3700 today! And don’t forget to check out our plumbing coupons while you’re here. Our customers often ask our Houston plumbers the same questions about plumbing services in Houston, so for that reason we thought we would answer some of them here. Do you have any plumbing questions? If you do, you aren’t alone. In fact most people know very little about professional plumbers. In general, plumbing services are not taxable. Although this is true for most states, it’s not true for the state of Texas, and, therefore, Houston and surrounding cities. So what the heck does that mean for the plumbing consumer? Let’s break this down. Essentially what the plumbing tax guru is saying is that plumbing services are not taxes for residential properties, like homes and apartments. However, if you hire a plumber in Houston for a commercial property, sales tax is applied. In sum, plumbing services are taxes for commercial properties but not residential properties in Texas. Are plumbing problems the landlords responsibility? Texas Tenant has a great article covering whether the landlord is responsibility for maintenance and repairs involving plumbing. For all of our customers who rent a home, apartment, or other dwelling, Mr Fix It Plumbing highly recommends you read this article. 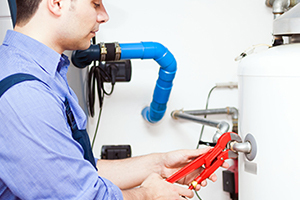 You may be eligible to have your landlord pay for all of your plumbing service fees. Or, if you’ve already paid, you may be eligible for reimbursement. In general, the article goes over the lease agreement sections to look for to determine whether the landlord should pay for the plumbing services. Overall, the article argues that landlords in Texas are responsible for any maintenance and repair affecting the health and safety of the occupants. Therefore, a broken hot water heater in hot weather (which Houston has plenty of!) and blocked sewage lines, which can affect health through the quality of the water and potentially hazardous runoff, the landlord should cover. However, a landlord might not be obliged to cover the costs of fixing a leaky faucet, since it doesn’t affect health and safety. If you are a Houston homeowner with home insurance, you should report to your insurer the plumbing damage that you want paid for. For example, if you discover a pipe is leaking, report the leaking pipe to the insurer first. Why? Because most home insurance policies have a provision that gives the insurer the right to inspect the damage before it is repaired. If you’ve already paid for a plumber to fix the pipe, and the insurance agency didn’t get a chance to inspect it, your insurance agent will have a harder time reimbursing you. Indeed, most home insurance policies do cover many different plumbing services, from flooding to leaking pipes. However, whether the insurance policy actually rewards you a reimbursement or pays for a Houston plumber outright is another story. Why? Because some factors affect the decision. First, the plumbing problem reporting time. If too much time lapses between when you discovered the problem and when you reported it, the insurer may not accept the claim. Second, whether the plumbing problem is sudden or chronic. If you’ve noticed the plumbing problem for a long time, did nothing about it, and the problem got worse — for example, a long-standing leaky faucet started to flood — the insurer is less likely to grant you a claim. In sum, the best option is to file a claim as soon as you notice a plumbing issue. And obviously, if the problem is a plumbing emergency, don’t hesitate to call Mr Fix It Plumbing Houston!